In a few short months, we’ll change our clocks as the big reminder that 2012 is winding down. But in this era of Kahn Academy, iTunes U, and getting your Ph.D online, digital delivery is just winding up. This year, the Investigations Workshops team celebrated its 16th anniversary—and in keeping with the times, will soon be welcoming the 1st iteration of the Workshops program delivered online, in course format, over 6 weeks starting October 24th! Myriam Steinback, Project Director of the Workshops, has a unique perspective on the history of this PD program. In 1997, she and her team launched the first large-scale offering of the original 5-day workshop, designed to assist schools and districts implementing the content and pedagogy of the then-new 1st edition of the Investigations in Number, Data, and Space curriculum. Since then, the program has expanded to multi-grade, multi-audience, and content-specific week-long workshops and leadership institutes that have helped more than 30,000 teachers and leaders in districts across the country. And now—after launching the first Common Core-aligned Institute and webinars last year—the launch of the first online course will offer 75 educators the opportunity to deepen their understanding of the math and math learning for K-5 students…over the web. “The beauty of going online is that we get to offer more teachers the opportunity to take advantage of our Workshops coursework—reaching teachers in rural schools who might not typically get to attend a face-to-face workshop; teachers who missed out on a face-to-face in their school, but still want to learn with us; or those teaching in schools globally, ” says Steinback. “I am also excited that the course allows us to work with more teachers during the school year, when the program’s connection to classroom practice is more immediate,” adds Steinback. Typically, the week-long, face-to-face sessions occur during the summer months. Contrary to the notion of cold, passive ‘web delivery’, the Implementing Investigations online course will be highly interactive —participants will be guided through the math content, practices, and Common Core alignments by experienced math educators who will be both facilitators and online mentors throughout the duration of the course. Additionally, participants will have access to multimedia clips featuring curriculum authors describing their insights into Investigations’ guiding principles, practices, alignments, and techniques for implementing early algebra content and pedagogy. Coursework will include an array of assignments like solving math problems, looking at student work, and contributing to discussions. Although participants from the same schools or districts might elect to work through assignments together, they will also be required to collaborate across their section group. The course targets teachers who are new or nearly new to Investigations. 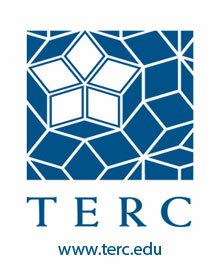 Registration is open now at: http://investigations-workshops.terc.edu/register.cfm. Be sure to sign up soon as spots are going quickly! Each section can accommodate 25 participants, and the course runs from October 24th, 2012 through December 12th, 2012. And last but not least—check out the other great Workshop offerings here.